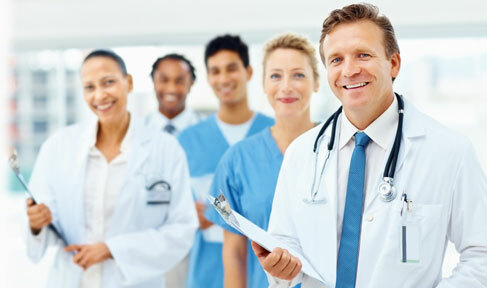 Thanks to a period of sustained growth in the healthcare industry, as well as various changes and reform to the healthcare industry, students and professionals at various levels are increasingly interested in the management and administration roles that keep hospitals, insurance companies, and other care providers on track and accountable. The best way to obtain the skills necessary for skilled healthcare management is to pursue either an undergraduate or graduate degree in the field, learning the nuanced regulations and authoritative management styles that will keep healthcare organizations within their budgets, meeting benchmarks for customer care and great outcomes, providing optimal direct patient care and guiding the organization toward future developments in the industry that will revolutionize the way care is delivered and afforded. Generally, graduates in this field can choose from either an undergraduate or graduate-level degree program. Each of these programs offers a unique series of courses that spotlight different management, regulatory, and advisory skills required by the successful healthcare management professional. Many program allow students to specialize in the area of healthcare management where they plan to pursue a career. At the undergraduate level, healthcare management degrees focus primarily on entry-level management and strategic communication techniques. In some cases, graduates pursue this field not as its own major, but as a concentration within a broader business administration program at a college or university. In either case, graduates will learn basic information about health industry regulations, issues of leadership that are unique to healthcare employers and departments, and more generalized knowledge about sound management practices, dispute resolution among employees, and caring for patients’ needs and personal information. At the graduate level, the degree is far more independent of a broader business education program. Most graduate-level degrees in the field focus solely on the needs of today’s healthcare organizations and how those needs will evolve over time. Students at this level will focus in detail on studies relating to healthcare policy and law, human resources, industry finances as they relate to patient care and payment, organizational behavior, and much more. Both degrees are considered essential in today’s job market. While some jobs, including entry-level management positions and openings at smaller healthcare organizations, require only a bachelor’s degree for candidates to land the job, it is far more common to hold a graduate degree in the field. In fact, the vast majority of jobs in healthcare administration will require candidates to hold a graduate degree before they will even be considered for a position. For this reason, those looking for a lasting career in the field should do their job search a favor and secure their graduate degree sooner rather than later. Accreditation of degree programs is important, since employers in the field generally regard degrees from non-accredited institutions as suspect or even worthless. Pay careful attention to a school’s listed accrediting bodies, and give consideration to programs that are accredited by regional higher education associations with national prestige. In addition to regional accreditation, the most respected programs are those who have received program specific accreditation based upon the student outcomes of a particular healthcare management program. Some of the most respected program specific accreditations include The Commission on Accreditation Healthcare Management Education (CAHME), The Council on Education for Public Health (CEPH) and The Association to Advance Collegiate Schools of Business (AACSB). Does the school have a career placement office or a dedicated internship service? Is there a reasonable chance of contacting each professor throughout the day to address questions or concerns? Can students choose from both online and offline classes, and keep up with their school via mobile websites or apps? These are just a few of the added resources and amenities that drive up the value of an undergraduate education and help students make the most of every credit and every tuition dollar. Be sure not to sacrifice key resources, no matter how insignificant they might seem, when looking for a strong healthcare management program. Programs are generally ranked using a few metrics, including value for the cost of tuition, the challenging nature of coursework, and the number of educational or occupational opportunities while pursuing the degree. Pay special attention to these rankings, since they’re carefully researched and offer early insight into the quality and long-term usefulness of any healthcare management program. One of the most reliable ranking systems is that of the US News and World Report Ranking System. Schools are ranked by overall school performance, value of the education received, outcomes of a specific program and many other important factors. Offered through Penn’s Wharton School of Business, this healthcare management degree program comes with Ivy League credibility and is one of the highest-ranked programs of its kind in the country. Students can choose from an undergraduate degree, an MBA in healthcare management, or a PhD in the field that will equip them with the skills needed to both manage and teach. Long known for its quality of education in a variety of programs, Northeastern University has created what might be the most significant online program for those interested in healthcare management and administration. The university offers its Bachelor of Science in Health Management to undergraduate students looking to build a career in the field. With the weight of the Northeastern name and the convenience of online classes, graduates will have ample opportunities open to them upon graduation. Ohio State is easily one of the biggest state universities in the country, with highly affordable tuition and prestigious programs that will allow students to succeed in their career pursuits. The university’s programs in healthcare management and administration are affordably priced, taught by professors with real experience in the field, and paired with the kind of name recognition that few other universities currently offer their graduates. Thanks to a historically strong healthcare industry at large, the healthcare management and administration field is growing faster than the average occupation nationwide. In fact, the Bureau of Labor and Statistics estimates that the field will grow by about 22 percent through the end of the current decade. That represents a significantly faster rate of growth than average, and it means good things for both undergraduate degree holder and those with graduate degrees from an accredited institution. Typically, healthcare management professionals can be employed in several different capacities, all with different levels of rank and responsibility. The lowest salaries in the field are typically given to entry-level candidates, most of whom will start with managing just a single department or sub-group of a practice, hospital or other care facility. Higher salaries are given to healthcare managers in charge of managing multiple departments, while those charged with managing company plans and strategies will command the highest salaries. Typically these are individuals who hold Master’s or Doctoral Degree’s. Another key determining factor of annual income is the size of the organization where the healthcare manager is employed. Smaller organizations typically take on fewer healthcare management professionals and pay slightly less than average, since their resources are more limited and the role of the healthcare manager itself is a bit more limited in scope. These might include long-term care facilities or private doctor practices. Large hospitals and insurance companies typically pay more, but they also expect their healthcare management professionals to be highly trained, responsible for numerous concurrent tasks, and capable of working without supervision on a regular basis. There is often a correlation between level of responsibility and the size of the organization, facility or practice. From entry-level work to senior positions managing healthcare policy and long-term goals, accredited degrees in healthcare management are a key way to enjoy a rewarding career in an industry that continues to grow rapidly. Students should pay attention to school rankings, resources, and accreditation throughout the admissions process, however, to ensure that their degree retains the most power and influence during their time looking for jobs and vying for advancement opportunities. One of the features of this site is monthly articles outlining the best best academic programs in the field of Healthcare Management. Each month a relevant topic is outlined and programs are ranked accordingly. This allows prospective or future students to find the very best Healthcare Management Degree Program for their needs.